Product prices and availability are accurate as of 2019-04-18 09:15:59 EDT and are subject to change. Any price and availability information displayed on http://www.amazon.com/ at the time of purchase will apply to the purchase of this product. 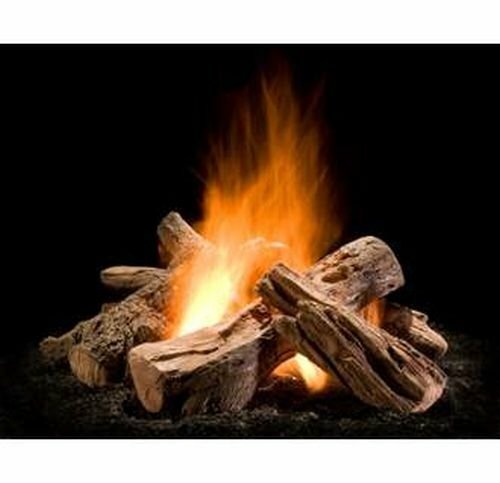 Wilderness Split 30" Outdoor Gas Fire Pit Logs. Give your outdoor gas fire pit the look and feel of a real fire with this log set. Features: Log Type: Wilderness Split. 7 Piece Log Set. For use with Outdoor Gas Firepit. Based on Mountain Timber Series Logs. Specifications: Size: 30". Firepit Size: 20"- 40".